We have more than 170 successful real estate transactions completed in the communities of Los Monasterios, Alfinach and Monte Picayo. We are your specialists, operating since 2001. We are knowledgeable experts in the real estate market of luxury communities, including but not limited to: supply, demand and market trend. Call us and check it out. We are energetic, passionate, and enthusiastic. We pride ourselves on our professionalism, honesty, modesty and respect. 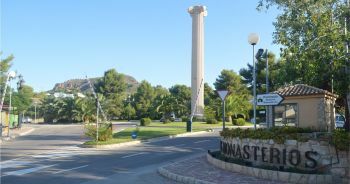 The communities of Puzol are located in the centre of the Calderona mountain range, 10 minutes from the sea and 15 minutes from Valencia City and the Manises airport. 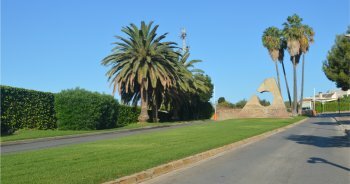 The 3 communities have private security and are less than 2 kilometres away from 3 of the top-rated schools in Valencia. Los Monasterios is one of the most prestigious communities in Spain. 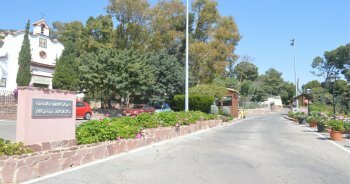 It is located in the Sierra Calderona mountain range in an absolutely ideal location. This is what makes the community of Los Monasterios a practical place to live while enjoying many leisure activities located less than 30 minutes away. A unique place to live, located between the sea and the mountains, where you can enjoy nature throughout the entire year. The community of Alfinach is one of the most prestigious communities in Spain, perfectly located in the Sierra Calderona mountain range, making this luxurious community a practical and peaceful place to live. Located in the Sierra Calderona mountain range, this strategically placed community is the perfect place to live. It offers so many activities, suited for your pleasure at your fingertips.